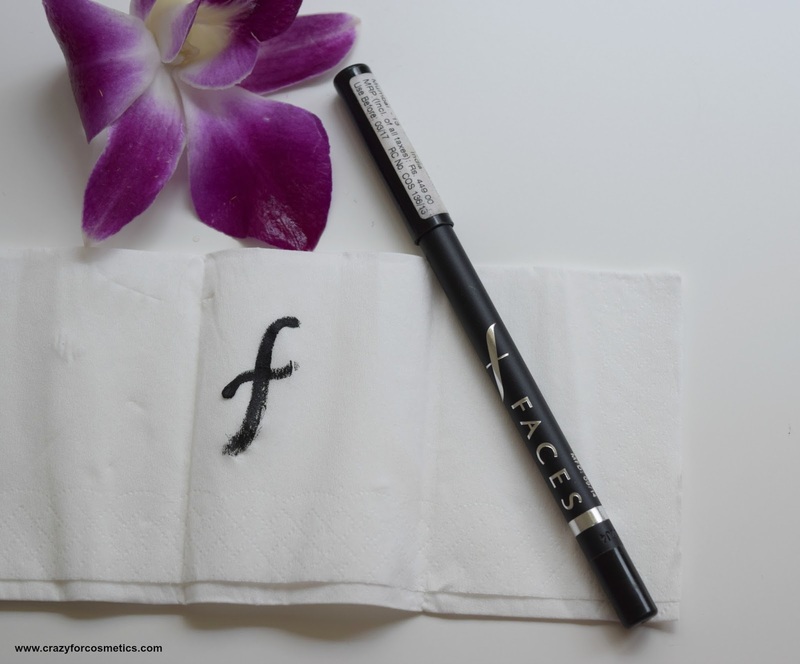 An incredibly soft textured eye pencil from Faces Cosmetics. It highlights the outline of the eyes with precision so that your eyes look big and beautiful. The texture is very creamy and while it glides, you will not even realize it on your eyelids; it is so smooth that it does not even tug or drag your skin while application. 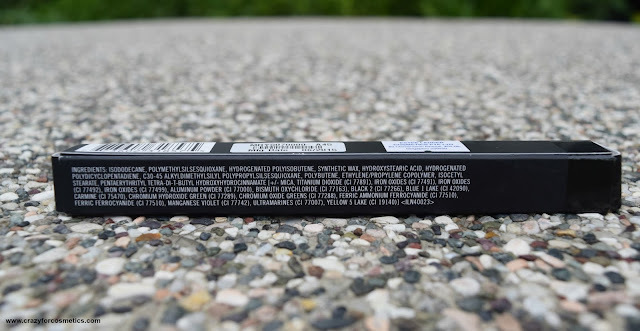 The packaging of both the eye pencils are quite similar with a lid at one end and the shade indicated at the other end. MAC Pro long wear's pencil is grey in color whereas the Faces Long Wear is in black. The letters printed on both are in Silver color which is quite attractive against the dark background. The pencils can be sharpened easily & they do not break while sharpening. I love these types of pencils because they are more hygienic than the automatic type one.In terms of packaging, I would rate both the eye pencils equally. The Faces Long Wear eye pencil in Solid Black scores more when it comes to the pigmentation of the eyeliners even on the swatches. I love the jet black colour the Faces Long Wear delivers even on the eyes, which is just so beautiful. The MAC Prolong wear's pigmentation is good with 2 or more swipes but not in the first swipe. 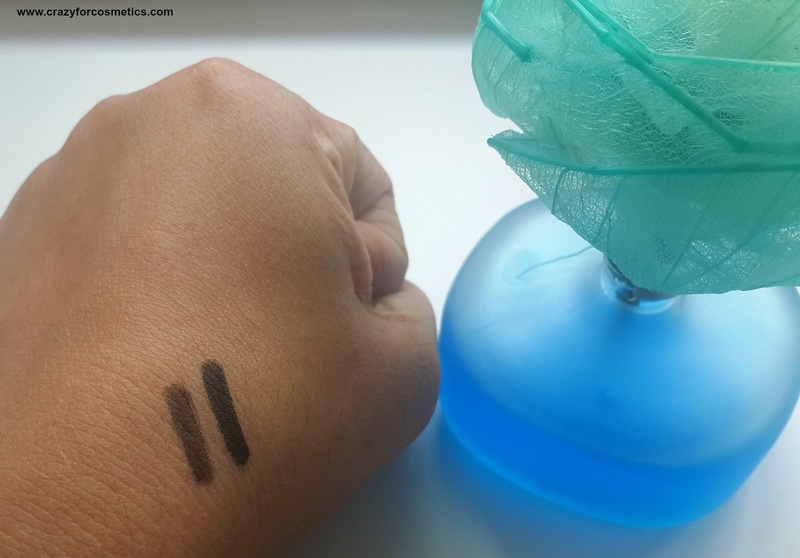 The Faces Long Wear eye pencil delivers a jet black color on my eyes right from the first swipe & it makes my eyes pop out. The MAC prolong wear eye pencil does not show up on my waterline & I need at least 4 to 5 swipes with extra tugging & pulling of my eyes to get a decent color pay off.As far as pigmentation is considered, according to me, Faces Long Wear Eye Pencil in Solid Black is definitely better. Faces : 9/10 , -1 because it would get used up faster. In terms of staying power, both the eye pencils deliver a good staying power of about 6 to 7 hours except that, the MAC Pro Long Wear eye pencil starts to smudge a little earlier on the lower waterline. 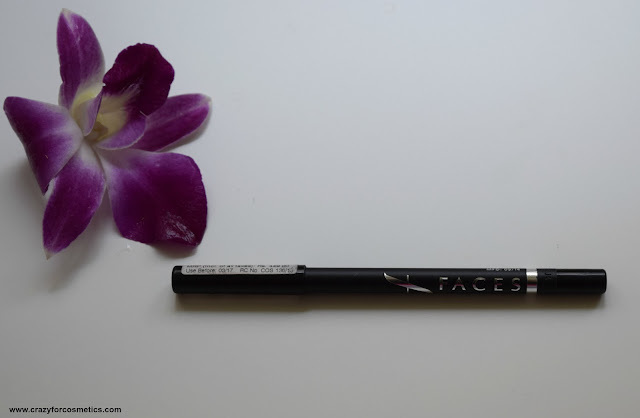 Faces Long Wear eye pencil has a great staying power & it stays put for about 6 hours on both upper lid as well as lower waterline. It is waterproof and did not budge a bit , even while I took a swim. MAC's Prolong wear eye pencil delivers a good staying power of 6 hours on the upper eyelid but on the lower waterline, it starts to smudge very quickly. It begins smudging in about 2 hours which I am quite shocked because none of the pencil liners usually smudge on my lower waterline and being MAC , this was least expected. For staying power & smudging, I again vote for Faces which lasts solid 6 hours or more. How do they fare on my extra sensitive lower waterline ? 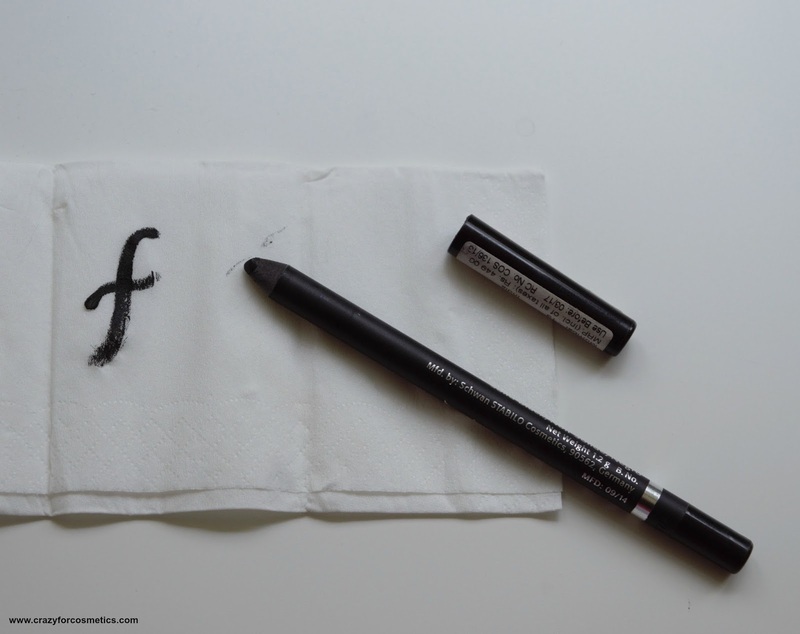 Faces Long Wear causes mild irritation when used on my waterline and I have stopped using it on my waterline. I use it only on my upper eyelid as a liner on which it stays intact for 6 hours or more depending on the humidity & my sweat. 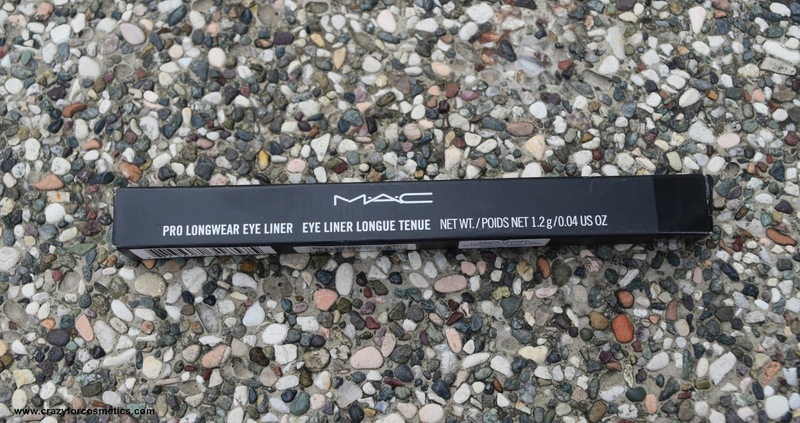 MAC Prolong wear does not irritate my eyes even when used on the lower waterline which is one thing I am really happy about, for the money I paid. I do not have to say anything on this because things are so evident. I am just a little upset that The MAC Pro Long Wear is not delivering as much as expected for the money I paid. However since it does not irritate my lower waterline, I would often reach for it as a kajal. I also like the Lakme Eyeconic Kajal for my lower waterline because it stays there for more than 7 hours. As far as pigmentation & staying power is concerned, Faces definitely gets my vote!!!! 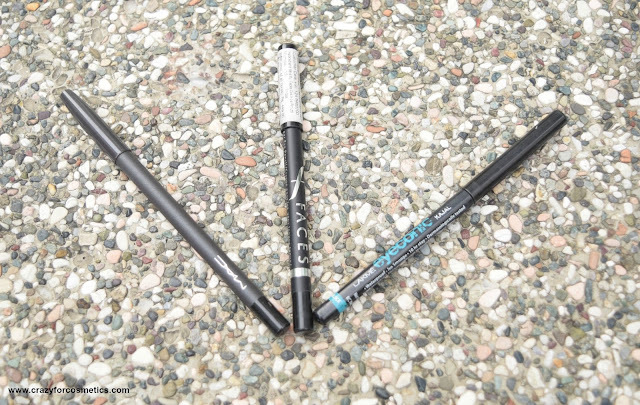 See you soon in another review and let me know which are your favorite eyeliner pencils?